The northern hills i.e. Jammu and Kashmir, Himachal Pradesh and Uttarakhand observed almost dry weather conditions during the last 24 hours. But still few isolated pockets in the upper reaches of these states witnessed weather activities. At present, a Western Disturbance is seen over North Pakistan and adjoining Jammu and Kashmir. Its induced cyclonic circulation lies over parts of Northwest India. This is also the 4th successive Western Disturbance to affect the Western Himalayas during this month. In the wake of these weather systems, isolated rains have already commenced over the upper reaches of Jammu and Kashmir. And by today afternoon, we expect gradual increase in the intensity and spread of these weather activities. 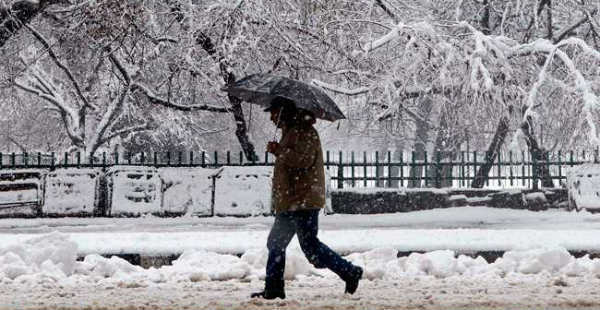 Therefore, during the next 24 hours, many parts of Jammu and Kashmir and Himachal Pradesh along with few parts of Uttarakhand will witness moderate rain and snowfall activity. On March 14, we also expect one or two heavy spells of rain in Uttarakhand. Chances of hailstorm accompanied with squally winds are possible in parts of Himachal Pradesh and Uttarakhand on March 14 and 15. Landslide and mudslide may also occur in parts of all the three states. By March 15, the Western Disturbance will start moving away eastwards, resulting in decrease of rain intensity over the Western Himalayas.